It started in Mainz and in Mainz it is supposed to be continuing. New solutions and innovative tools for the publisher- and media industry promised the „media.expo 2013“. The media.expo is one of many exhibitions with mainly the same content and promises for the print and media industry in Germany. The focus lies on speeches, discussions and networking of functional content. In consideration of the current development of sales the publishing industry needs to wake-up. Even though publisher are present in the digital world via apps and websites there is no innovative progress insight. If Google wouldn‘t bring the traffic and Apple wouldn‘t have given a platform via the iPad there would be no perspective on the subject of „digital content by traditional publishers“. Crucial: Publisher don‘t manage or develop their own intermedia communication systems. And they don‘t even use state-of-the-art communication channels in a bi-directional way to create interaction. Maybe they hate Wikipedia and the way Social Media is used by more than a billion of people? — Furthermore, they use a high proportion of their share of sales for the content creation and mostly ignore phenomenons like Twitter, Facebook or Blogs. What is worse — publisher don‘t invest in their core business „print“ anymore. 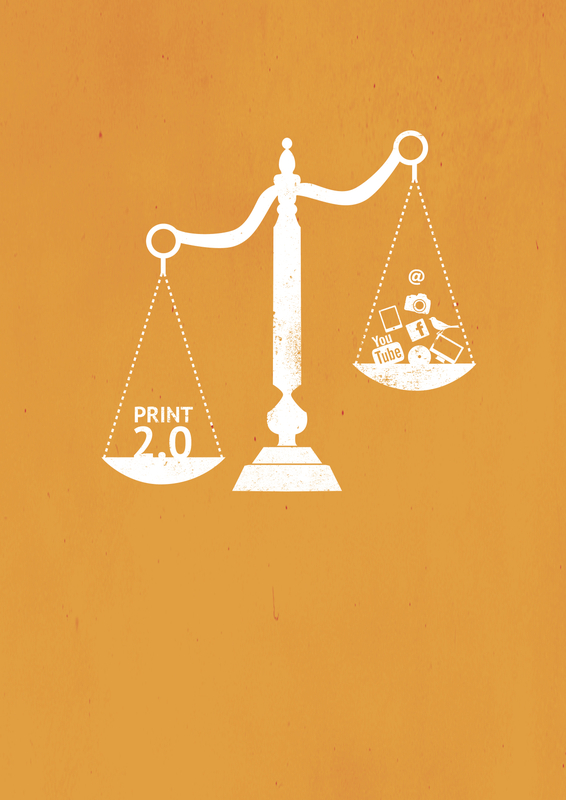 An obvious disinterest of innovative print technologies results in a slow death of „print“. But Innovation is the key. Through innovation of the print media products new markets can be entered. Back in the day Gutenberg was aware of this fact and changed the world with print. However, the modern print-publisher is lacking vision and power for change. Though, over more then a generation ago specific solutions have been approached. Back then, on various places of the world people developed the idea to revolutionize communication with media. IT, web and print were seen as an integral part of a new communication culture. The main drivers of this development were Xerox Corporation and Hewlett-Packard. They anticipated back in the 90s what is now possible: Digital and analog media don‘t contradict but build a new intermedia hydride system. Through the Internet and the TCP-IP-Protocol a new infrastructure is developed, which increases the value and effectiveness of media products exponentially. Assumed printing is digital. Print and online are linked and form one unit. The targeted print media production is a just-in-time production. Print media products are created based on automated processes. Printed contents will become more relevant, if they are customized to the customer’s request. Relevant examples for print innovation can be found from leading digital printers like Elanders Germany. With Calvendo.de automated personalized calendar book can be manufactured and distributed via the web. Another example is Socialmemories.com where social media content from Facebook is used to generate a personalized printed book. However, partners of Elanders are not traditional publisher, but start-ups. Conclusion: The publishing industry is lacking contemporary ideas and motivation to innovate its core business with print, which is driven by digital communication technologies. Instead, they run behind on development and focus on third parties and their communication channels, which are used by publishers as “their new media“ to advertise in the old fashioned way. Sad but true: the current revenues of the publishing industry already shows an economic imbalance.